"Binnen een dag een mooie set met visuele tools gekregen en toegepast. Lekker veel hands-on oefeningen. Top! Veel praktisch toepasbare tips en trucs geleerd. View related learning products with starting dates: Visualization and C/C++. As a coach/trainer/facilitator/manager/teacher I want to learn to share information visually so that I can push information into physical spaces, increase transparency, and maximize understanding. Because the writing is on the wall, fully transparent, new forms of collaboration become possible. Curiosity can be followed easily and anyone in the environment can ask an insightful question, share expertise, and discover opportunities to contribute. Because visual information is processed easier and quicker, understanding improves. Crucially important in the teaching and training context, these tools of visualization can create a common language and help people communicate effectively about the right things anywhere. Eng, MSc, PgDDDM/Data Sci. Pega: CSPMC, CDC, CBA, CSA, CSSA. Scrum: PSM, SPOAC. Java: SCJA, SCJP. On Springest, you can find and book over 27,420 learning products. 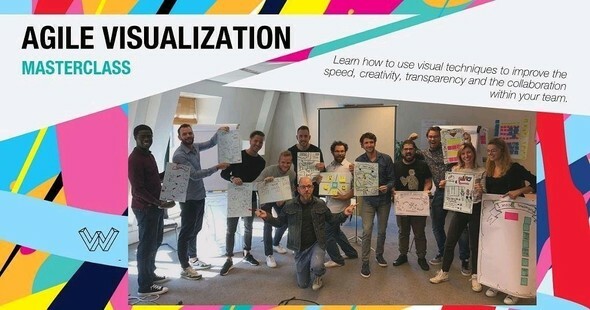 Check out the top 10 related to Visualization.